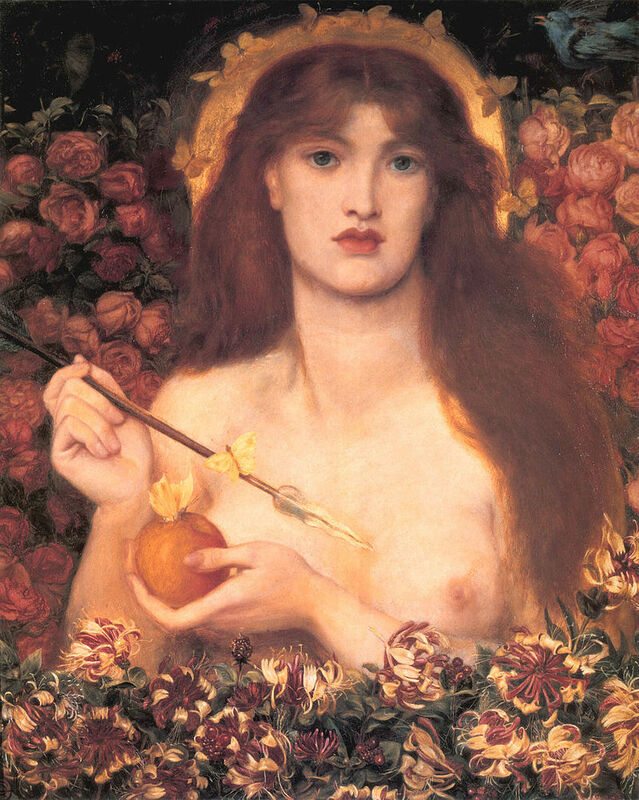 Imagery and Symbolism are two of the most common literary devices used by authors. Imagery refers to the use of figurative and descriptive language to create images in the readers’ mind. Symbolism refers to the use of symbols to represent ideas and qualities. 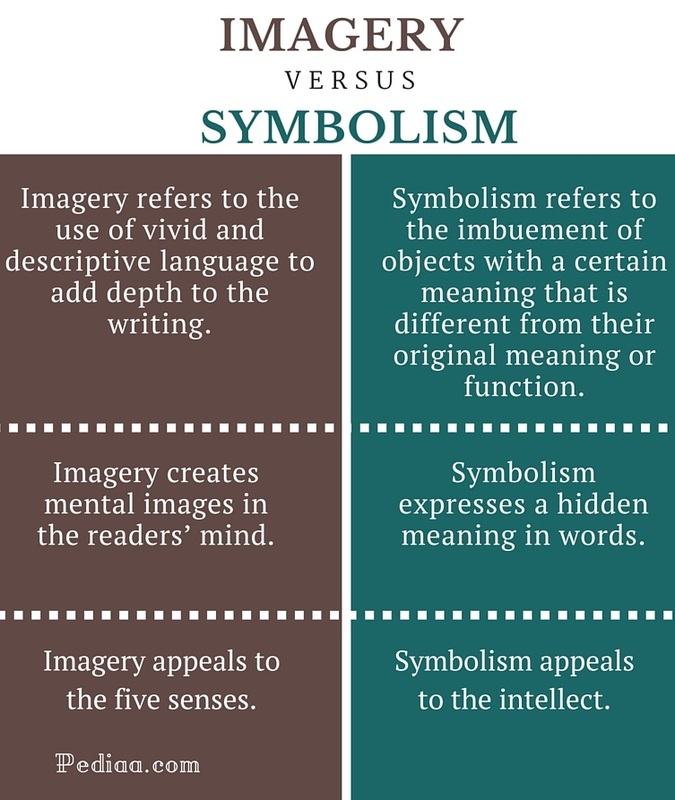 This is the main difference between imagery and symbolism. In literature, imagery refers to an author’s use of vivid and descriptive language to add depth to his writing. Imagery allows the readers to create visual representations of ideas in the readers’ minds. It also helps the readers to understand a literary work better. 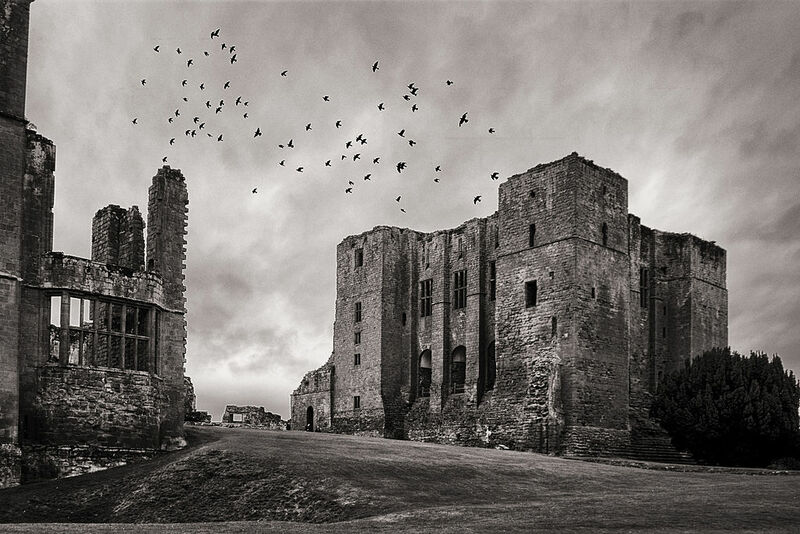 Visual Imagery: appeals to our sense of sight. Auditory Imagery: appeals to our sense of hearing. Olfactory Imagery: appeals to our sense of smell. Gustatory Imagery: appeals to our sense of taste. Tactile Imagery: appeals to our sense of touch. Symbolism, as a literary device, is used to signify abstract qualities using characters, backgrounds, objects, or setting. Given below are some example of symbolism in literature. In Nathaniel Hawthorne’s The Scarlet Letter, the scarlet letter itself (the letter A) is a symbol of adultery. In Shakespear’s Macbeth, the constant reference to blood can be taken as a symbol of violence and guilt. In Joseph Conrad’s Heart of Darkness, the darkness symbolizes the evil. Apple is a symbol of temptation. Imagery refers to the use of vivid and descriptive language to add depth to the writing. Symbolism refers to the imbuement of objects with a certain meaning that is different from their original meaning or function. Imagery creates mental images in the readers’ mind. Symbolism implies a hidden meaning in words. Imagery appeals to the five senses. Symbolism appeals to the intellect.